The Growler running board provides a clean yet aggressive look for your vehicle with tread design allows for ultimate traction in any condition. Aggressive Tread Design The Growler Step System has an aggressive tread design that allows for traction in any condition. Durable The Growler Step System has a 7’ Wide Aluminum board & end caps for long lasting durability. Textured Finish The Growler Step System comes with a Textured Black Powder Coat Finish. Easy Installation The Growler Step System is sold as a Kit with boards and bolt-on brackets in one box. 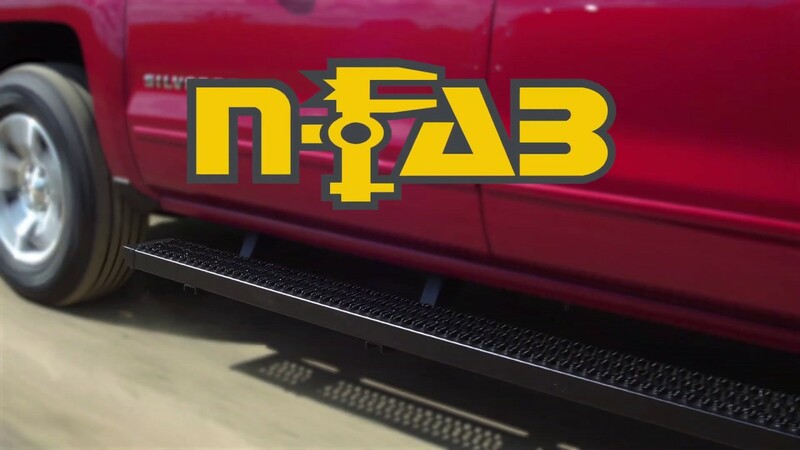 The N-FAB Growler Steps can be installed easily. Includes two steps and all hardware necessary for installation. Product comes with easy to understand vehicle specific installation instructions.